The years after the end of the First World War saw many changes that not only affected the world at large, but also the parish at home. For one, there was a movement of peoples. After the war, a number of parish families returned to Europe. Their ranks, however, were replenished by newcomers to the area, both from coal-mining towns and from Europe itself. A more significant change also took place. With the end of the war, the Apostolic Administrator for Ruthenian Byzantine Catholics, the Very Reverend Gabriel Martyak, was able to request more priests to come to America from Europe. This supply of newly-found priests enabled the parish finally to have its own resident pastor in the person of the Reverend John Zavalla, who was appointed in December of 1922. Until that time, the parish was a “filialka” or mission church of St. Michael Church in Allentown. The pastors there were the administrators in Bethlehem. They included the Reverend Michael Mitro, the Reverend Michael Andrejkovich, the Reverend Stephen Gulyassy, and the Reverend John Krusko. The first pastors in Bethlehem, however, had no rectory in which to live. Temporary quarters were rented by the parish until more money could be secured for the construction of a rectory. Father Zavalla served the parish only for a short time (1922-1923). He was succeeded by the Reverend Vladymir Obushkevich who saw the liquidation of the original mortgage from the E.P. Wilbur Trust Company in 1923 and the granting of a new loan by the same institution to the tune of $12,000.00 for the construction of a rectory next to the church. The rectory was ready for occupancy by the summer of 1924. Father Obushkevich, however, was to live there only for one year, since he was to be transferred in July of 1925. Faher Obushkevich was succeeded by the Reverend Basil Lipeczky. Father Lipeczky easily left his mark on the parish because he was a gifted artist. 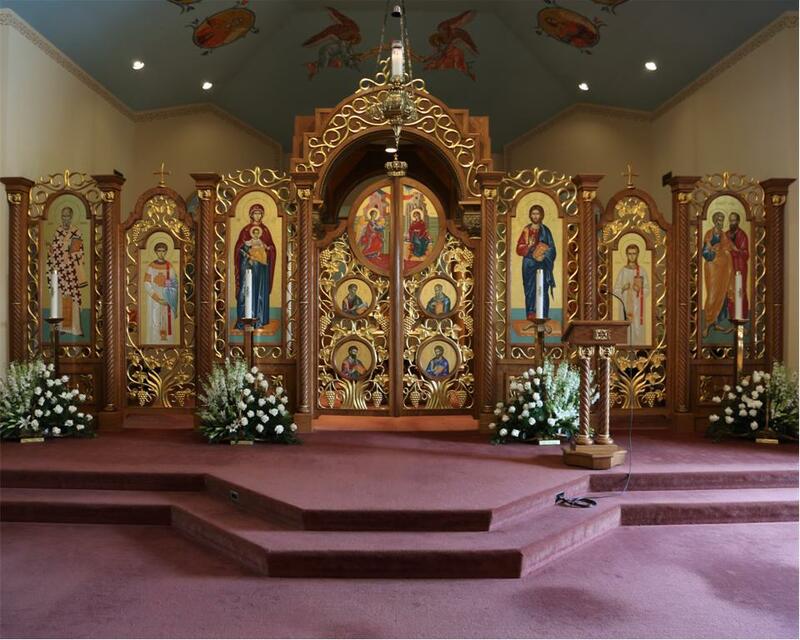 It was he who was to paint the original icons that could have formed a transitional iconostasis for the church. They were retained, however, only as free-standing panels. Father Lipeczky’s pastorate ended in September 1931. It was also during Father Lipeczky’s time that another significant change took place. Due to economic hard times both in Bethlehem and across the Delaware River in Phillipsburg, NJ membership was lost and both churches had difficulties making ends meet. It was then decided that both parishes would be served by one priest with the Edward Street rectory as his residence. This situation, which began in July 1925, continued until January 1948 when a resident pastor was once again assigned to the Phillipsburg parish. The month following Father Lipeczky’s departure, the Reverend Alexis Bakaysa took over as pastor. His were truly memorable years – eighteen in all – in the parish, and he was to remain there until his death on December 4, 1949, at the age of 64.